At ACCESS, we believe any student who dreams of continuing their education after high school should have the opportunity. However, if a student is part of the first generation in their family to head off to college, they are often faced with additional challenges. ACCESS helps students from all walks of life, especially those who will be the first in their family, to ensure they follow the necessary steps to get to college and have access to all available resources. Our "First in the Family" series chronicles the stories of many of the students we are able to help achieve their post-secondary education dreams and graduate from college, changing the lives of their families for years to come. Rachel Swinson never allowed the loss of loved ones or financial difficulties hold her back from her dream of going to college. And now she's heading to Longwood. Hear ACCESS Scholar, Christelle Holloman tell her story about how ACCESS helped her navigate the college admission and financial aid process. 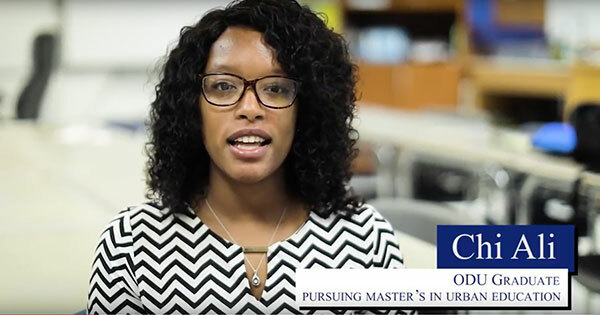 Hear Chi Ali, ACCESS Scholar and Old Dominion University graduate, tell her story about how ACCESS helped her on the path to obtain her college degree. 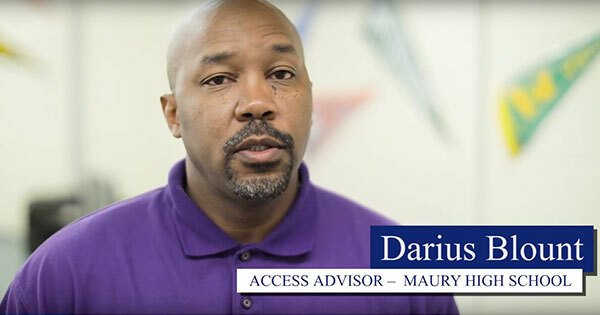 Hear from Darius Blount, Advisor at Maury High School, on how ACCESS Advisors are able to help students who will be part of the first-generation to attend college.